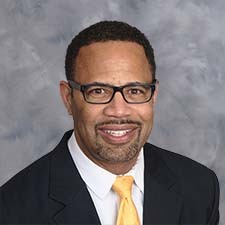 Remus Boxley is the Vice President of Human Resources, where he is responsible for leading the company’s HR team and supporting talent management including benefits and compensation, compliance, leadership training and employee development across Hilldrup’s nine branches. Through effectively supporting Hilldrup’s employees, the company can better attract, engage, reward and retain an outstanding workforce that is deeply committed to Hilldrup’s mission, vision and values. Remus brings more than two decades of human resources experience, having worked in a variety of industries such as financial services, health care, supply chain/retail, engineering and non-profit. He is highly adept at employee engagement, leadership development, mentoring, recruitment and employee relations. Remus holds a bachelor’s degree from the University of Mary Washington and an MBA from James Madison University. He enjoys exercising, serving the community and spending time with his son.